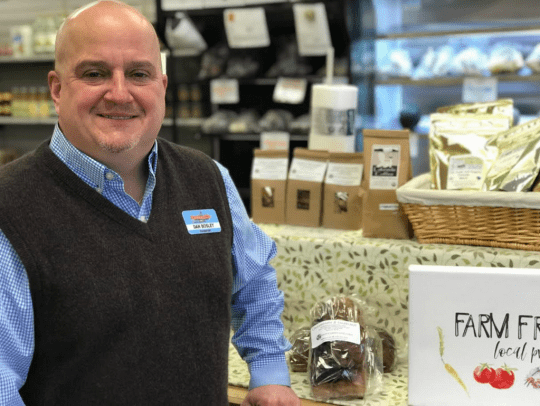 AdkAction’s Farmacy project, a mixed-use healthy food retail storefront located in Keeseville Pharmacy, is seeking to replicate the model in the second location in Essex County. 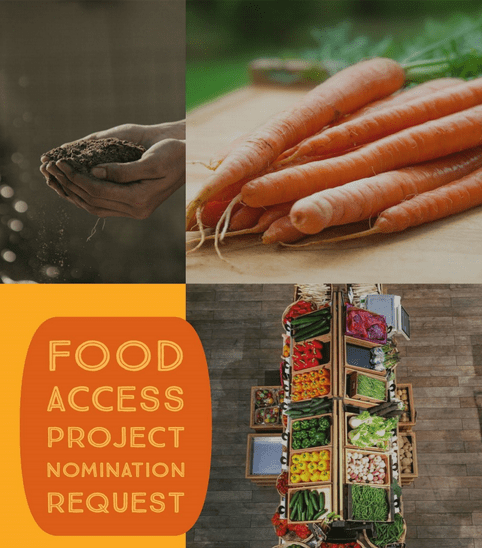 Local businesses who are interested in a partnership with AdkAction to incorporate a small farm store into their existing storefront can be nominated between now and March 1st to be considered. 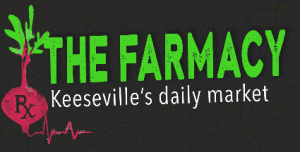 The Farmacy, small farm store located inside the Keeseville Pharmacy, has received an Innovation Grant from Adirondack Health Institute. The expansion is set to include the addition of a display freezer, gondola shelving, three glass-door merchandising coolers, and a bulk food unit. A full-time staff person has been hired to oversee and expand the model to an additional location in Essex County. » Continue Reading. 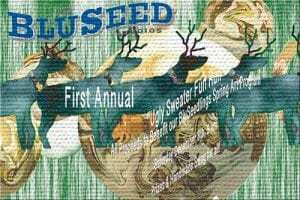 On December 8, BluSeed Studios will host an Ugly Sweater 5K Run/Walk to help fund their annual free spring break and after school art classes for area children. Each participant will receive a raffle ticket for artisan items. Registration and the race begins at their Cedar Street location in Saranac Lake, and continues around Moody Pond to end back at BluSeed Studio for hot beverages and muffins. Admission is $20 for adults (which includes a commemorative artisan tile/trivet), $5 for students and leashed dogs, while children in strollers are free. You can register the morning of the event beginning at 8:30 am for a 9 am start. Prizes are awarded for top three male and female as well as the ugliest sweater. » Continue Reading. 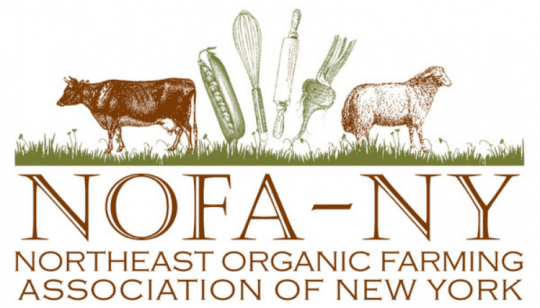 The Northeast Organic Farming Association of New York (NOFA-NY) is set to hold an on-farm field day at Fledging Crow Farm in Keeseville on Wednesday, August 15, from 1:30 to 4:30 pm. Farmer Ian Ater and NOFA-NY Vegetable Coordinator Maryellen Sheehan will lead a farm tour and field walk, with a focus on implementation of food safety practices. Ater will demonstrate the steps of a root harvest day – including pulling, topping, washing, and packing – with an eye towards increased efficiency. » Continue Reading. The second Keeseville Plein Air Festival is taking place this week, June 20 to the 24th. The arts festival is showcasing the work of 25 artists as they paint Keeseville’s mix of natural beauty, historic architecture and emerging agricultural scene. AdkAction developed and launched the inaugural Keeseville Plein Air Festival in 2017 in an effort to bring the attention of talented artists to the hamlet of Keeseville, and aid in community revitalization efforts. The first year of the event included over 60 artworks created by 21 participating artists. Over $8,000 in artwork was sold, benefiting the artists and local community revitalization efforts. » Continue Reading. 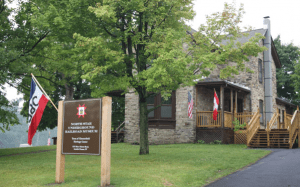 The North Star Underground Railroad Museum has announced the return of its popular mini-bus tours of antislavery and underground railroad sites in Keeseville and Peru. New this year, photo albums will help passengers follow the narrative, new information has been added on the Episcopal and Wesleyan Churches, and passengers can hear the recently discovered story of a man who escaped from Baltimore, Maryland, and reached Canada via Albany, Saratoga, Warren, Essex and Clinton Counties. » Continue Reading. AdkAction has announced the grand opening and ribbon cutting of the “Farmacy” fresh food retail space in the Keeseville Pharmacy on Friday, November 17th from 4 to 6 pm. A reception with sweet and savory snacks and wine and beer will be held following the ribbon cutting at the Fresh and Fancy Bakery across the street. The ribbon cutting and reception are free and open to the public. 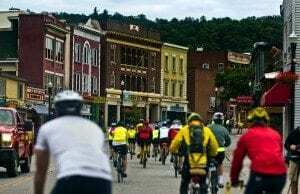 Keeseville is a hamlet that has had long stretches without a grocery store. The most recent has lasted about four years after Mac’s Market in the heart of downtown Keeseville closed down in 2013. In the center of Keeseville’s downtown is an empty 8,000 square foot grocery store that serves as a gnawing reminder that the closest grocery store is about 20 minutes away by car. Despite the limited access to fresh food in Downtown Keeseville, there is a budding agricultural community developing on the outskirts of the hamlet. A 40-acre organic vegetable farm, a grass-fed dairy, and a sustainable beef, pork, and chicken operation have all grown over the past few years. » Continue Reading. You’ve probably been to fund-raising events where artwork has been donated. This is a tradition that many artists feel is an important way to show their support for an organization or cause. Sometimes art is also used as a publicity tool, with pieces created specifically for a purpose or cause. Many historians have credited Frederick Church, and other 19th century artists, with helping promote the creation of the National Park system, through their paintings of places like Yellowstone and Yosemite. Hudson River School painters shared with the world the beauty of the Adirondack and Catskill regions. 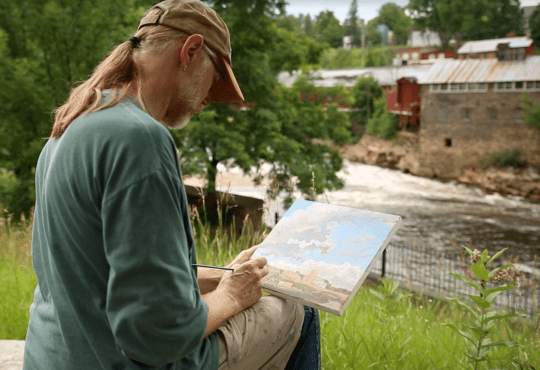 AdkAction just hosted the first Keeseville Plein Air Festival, to draw attention to the historic community, the beautiful Ausable River, and flourishing area farms, and to raise funds for a downtown revitalization project. It was very successful. This August, during the 2017 Adirondack Plein Air Festival (August 14-19), there is a new cause that we will be drawing attention to through art. 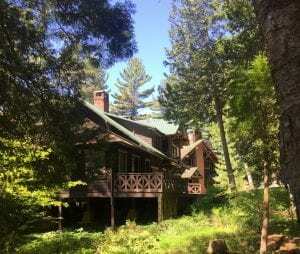 The Friends of Eagle Island, who now own the beautiful and historic camp on Eagle Island, in Upper Saranac Lake, have big dreams and a huge renovation/restoration task ahead of them. » Continue Reading. 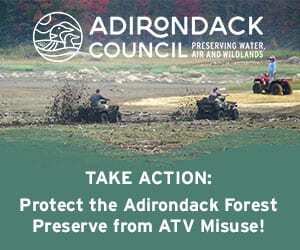 As part of the Poke-O-Moonshine Fire Tower Centennial (1917-2017), this summer, The Friends of Poke-O-Moonshine, Adirondack Architectural Heritage (AARCH), and Ausable Brewing Company will be hosting an Exhibit and Silent Auction of artwork related to the mountain, its human and natural history, and its fire tower. This is in place of the exhibit that was to be held at the 1719 Block Gallery in Keeseville. 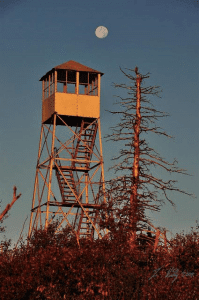 The auction will be held from 7 to 9 pm on July 28 at the AARCH offices at 1745 Main Street, Keeseville, and on July 30 during the Poke-O-Moonshine Fire Tower Centennial Celebration at Ausable Brewing Company, 765 Mace Chasm Road, Keeseville, from 4:30 to 8 pm. 2D works of Poke-O-Moonshine-themed art, including works on paper or canvas and photography, are eligible for entry. » Continue Reading. AdkAction is organizing a new arts festival in Keeseville. The first Keeseville Plein Air Festival is scheduled to take place from Thursday, July 13th to Sunday, July 16th. The arts festival will showcase Keeseville’s natural landscape and historic architecture. AdkAction hopes to attract a wide range of artists to the festival, which in turn will assist the community’s revitalization. Adgate Schermerhorn was born in 1918 in the hamlet of Ausable Chasm, about a mile northeast of Keeseville. 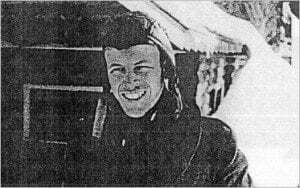 A horseman (he started riding at age five) and outdoorsman who loved the Adirondacks, he graduated from Keeseville High School in 1935 and worked as a lumberman in the North Country. He then attended the St. Lawrence School of Agriculture at Canton, earning a degree in 1939 from the Division of Technical Engineering. He worked as a refrigeration service man in the Plattsburgh area, but moved to Pennsylvania in December 1940 after securing a position with GE in Philadelphia. » Continue Reading. 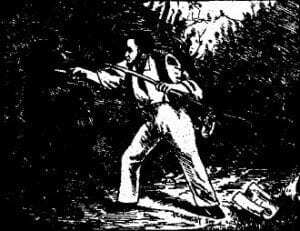 If you love Adirondack legend and lore, you’ll love this gem of a poem that first appeared in 1846. Since then it has appeared in print several times, often with revisions, and with the removal of certain stanzas. It’s the exciting story of a man-versus-bear encounter. The man was Anson Allen, whose colorful past included a fifteen-year stint as owner/editor of the Keeseville Herald, the village’s first newspaper. After moving to Westport in the early 1840s, he edited the Essex Co. Times and Westport Herald for four years. He later published a monthly titled The Old Settler, covering stories and reminiscences from the region’s earliest history. The paper literally defined him, for Allen became known widely as “the old settler.” » Continue Reading. 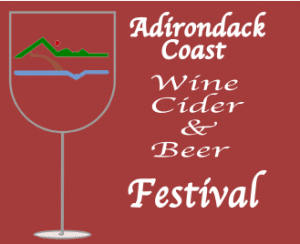 This weekend two of my favorite things are headlining part of the Adirondack Fall Festival tour, wine and cheese. 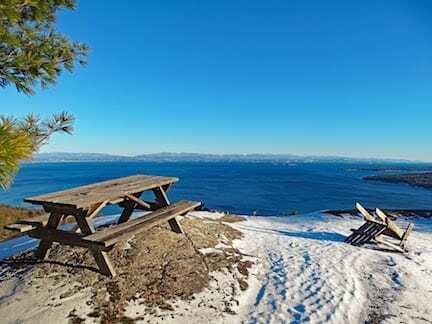 The Adirondack Coast Wine Trail is showcasing local beer, wine, and cider while Adirondack Harvest is once again offering a unique Adirondack cheese tour. We all know that wine and cheese go together like, well, wine and cheese. I was thinking it’s “mother’s little helper,” but didn’t want to come off like I have a problem with… cheese. » Continue Reading.